Stevie has a lot of dreams … more friends at school, better drawing pencils and a pony. If only she had her dream horse, her life would be better and the other horse-mad girls would talk to her. When her brother is taken to hospital, Stevie’s dreams seem further away than ever. Suddenly her after-school world is filled with hospital visits and there’s even less money for anything, especially a pony. With Stevie’s mum spending more time with her brother, Stevie has to learn to figure out the hard things in life by herself. 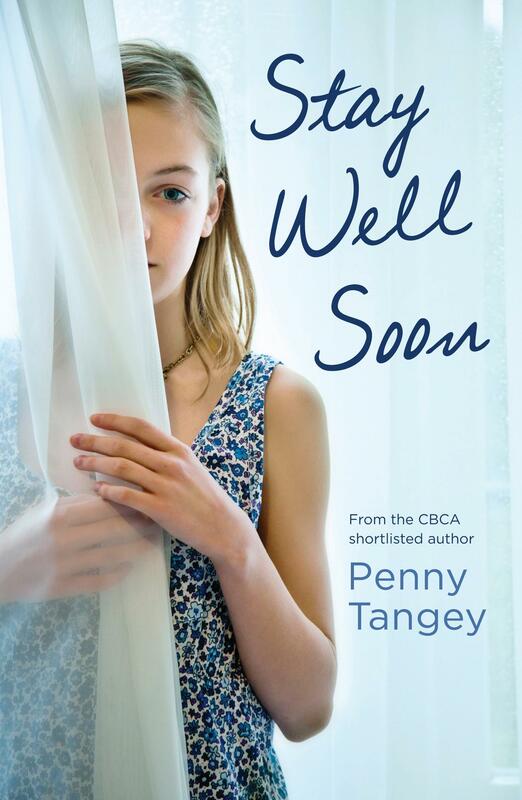 A funny, moving and heartfelt story from CBCA-shortlisted author Penny Tangey. The cover of Stay Well Soon hints at only one side of this wonderful contemporary story about an Australian girl who has just begun Year 5, because although there is certainly sadness and loss for Stevie, she is such a funny character that the book is anything but bleak. Stevie is going through some of the usual pre-teen struggles, with friends who aren’t like they used to be and a mum who always seems distracted. But suddenly her world becomes a lot more serious when her brother is diagnosed with lymphoblastic leukaemia. Spending so much of her time at the hospital leads to a new friendship, with an older girl who is also extremely ill. The friendship is discouraged by Stevie’s mum, who is worried it will only lead to pain for Stevie, and this leads Stevie to make one or two questionable decisions. Stevie’s voice felt very real to me and I warmed to her honesty. She does what a lot of people do when they’re faced with the ultimate sadness – she tries to hide away from it – but inevitably it catches up with her and this is handled so well. Highly recommended for 10-13 year olds.